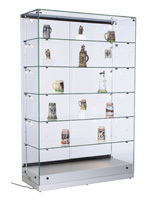 A display case, like this freestanding glass cabinet can be positioned in airports, boutiques, exhibition halls, galleries, homes, museums and retail outlets to gain maximum exposure and promote the latest artifact or product line offered! 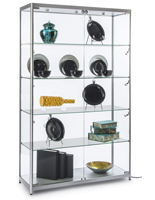 Antiques, collectibles, jewelry, merchandise, sports memorabilia and trophies can all be creatively exhibited on each shelf. 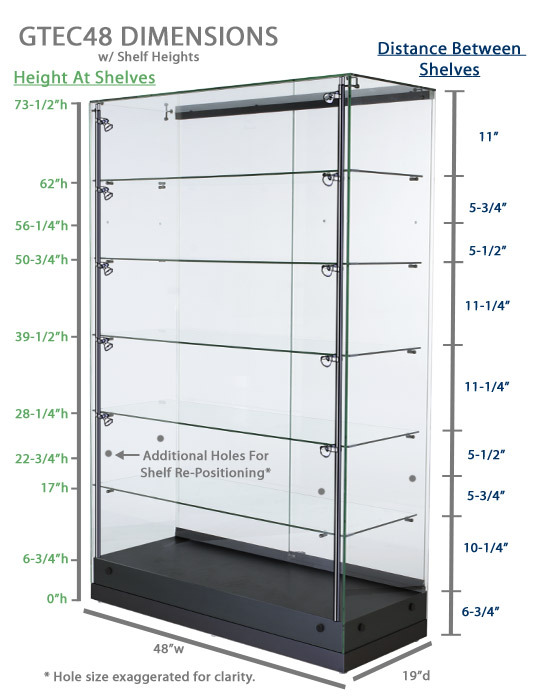 This custom store fixture, display case that measures 76.5" tall accentuates accessories well with illumination from ten vertical lights! 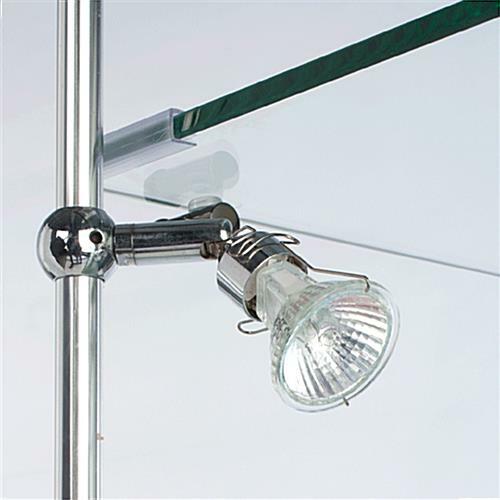 These lights can be tilted and angled to spotlight the most prominent features of any object presented. 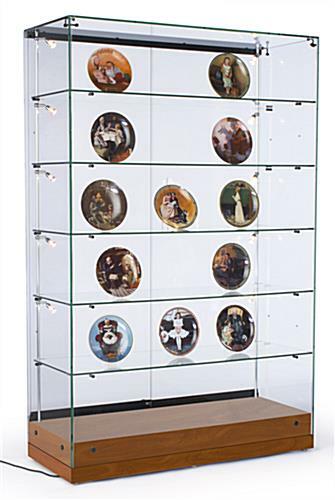 This display case that has an eye-catching cherry laminate finish. 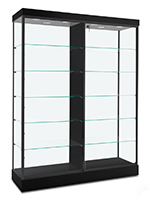 This retail showcase, display case with (5) adjustable shelves can accommodate larger presentation items by manually changing the height of each shelf up or down. 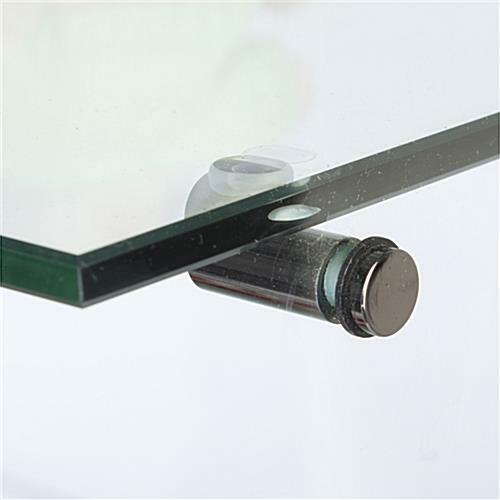 Each tempered glass shelf rests on rubber-padded shelf clips which prevents breakage from shifting or any slight movement! 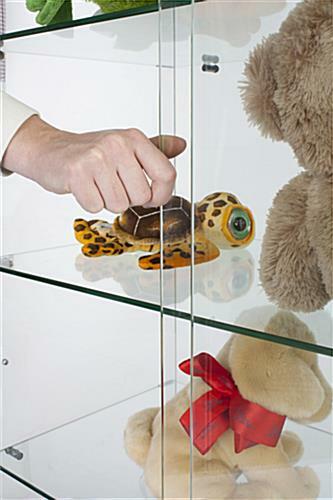 This accessories cabinet, display case with sliding doors locks with a key to restrict customers and guests from handling showcased valuables. 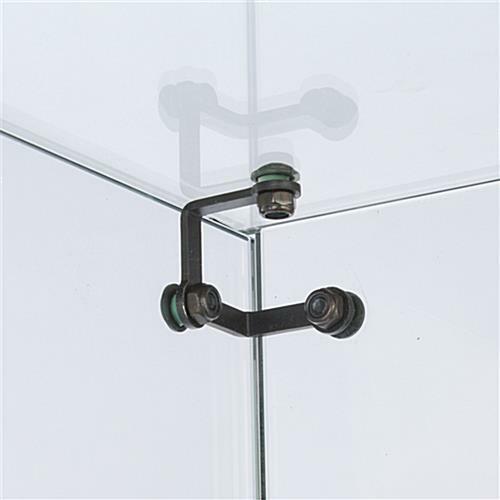 This feature is most appreciated by stores that sell expensive, high-end merchandise and cannot continuously monitor each custom fixture! 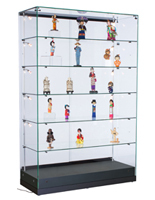 This display case that can be used to exhibit fine China, glassware and crystal figurines is affordable, attractive and can help to boost sales or awareness of any exhibited collection!